Today I thought I would add one of the finalists in the Wrench build off, this fella below PJ Grakausas is one of the finalists and the Indian Cafe Racer he created is a real nice piece of work and needed to be shared, some of the images are credited to Return of the Cafe Racers, Hot Bike, Silidrome and Pintrest. Up until now most of the manufacturer build offs we’ve seen have been between professional workshops or dealerships. With ‘The Wrench – Scout Bobber Build Off’ Indian motorcycles have taken more of a grassroots approach. 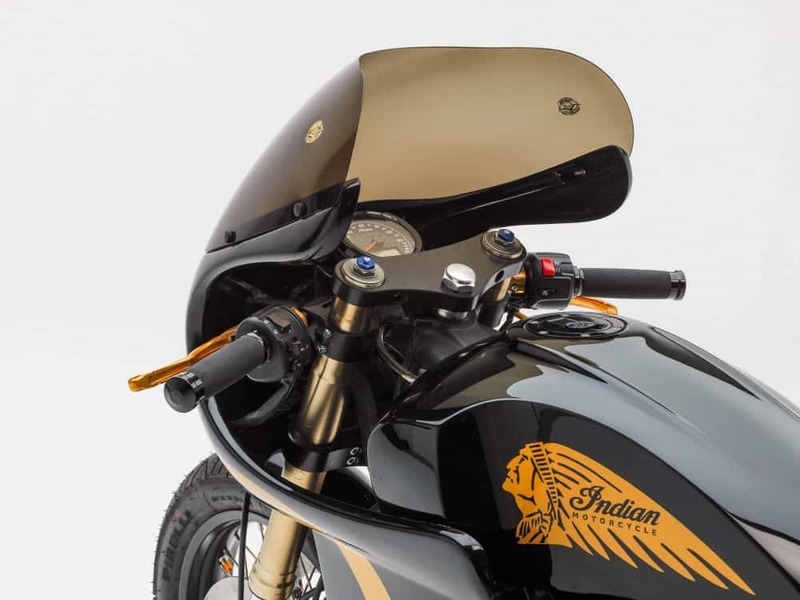 Recognising the importance of the ‘backyard builder’ Indian invited custom enthusiasts to submit concepts of how they’d like to customise a Scout Bobber. 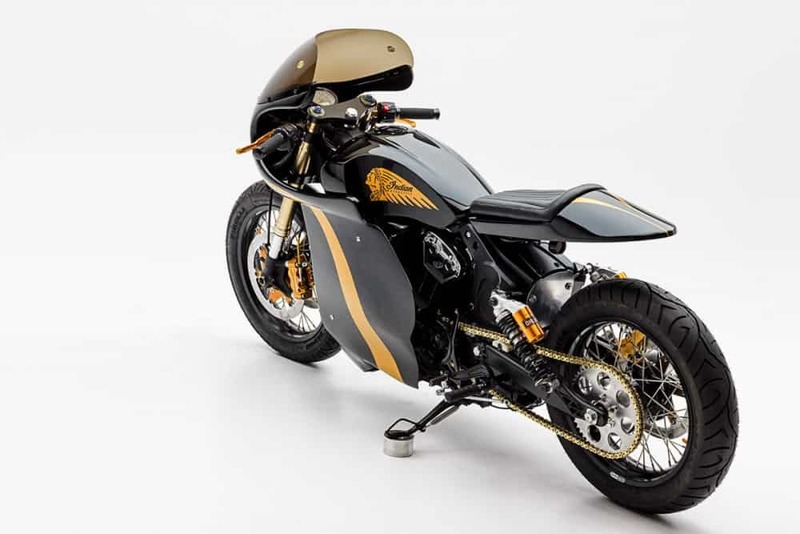 From the 100+ submissions received a panel of judges including Roland Sands and Jason Paul Michaels selected 12 semi-finalists. 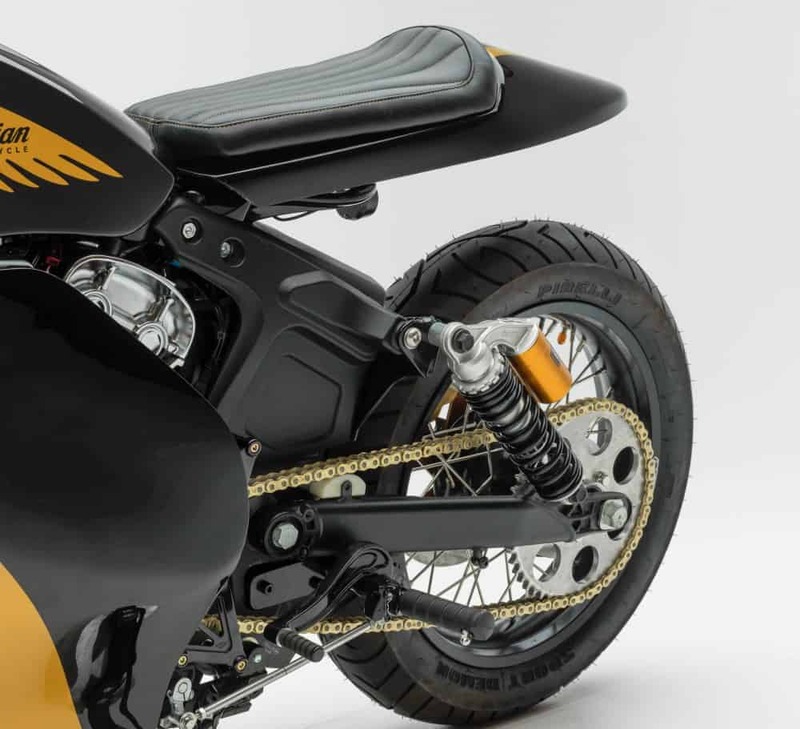 Then through a public vote, 3 winners were given a 2018 Indian Scout Bobber and a $10,000 USD budget. 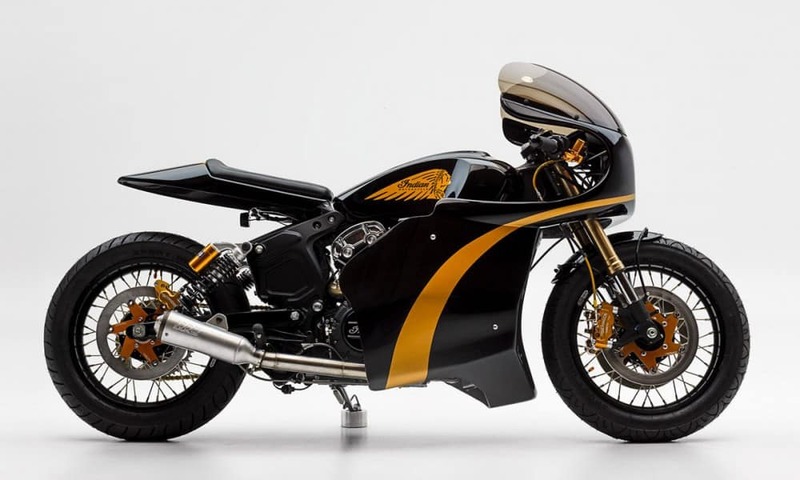 Ohio based safety inspector PJ Grakauskas was one of the 3 chosen builders and this is his fully faired ‘Scout Cafe Racer’. 12 weeks after they were handed the bikes all 3 ‘Wrench’ contestant builds were unveiled at the 2018 Sturgis Motorcycle Rally. 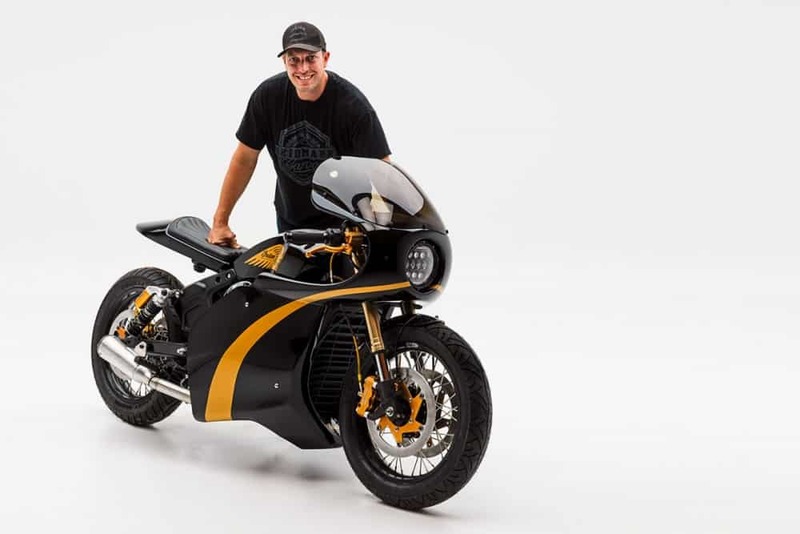 Seeing a cafe racer styled bike at an event that’s traditionally cruiser and chopper focused instantly piqued my interest so I reached out to PJ to learn a bit more about his project. Hi PJ, Why don’t we start with a bit about your history with building custom bikes. I don’t build bikes full time, it’s just an expensive hobby for me. I grew up surrounded by motorcycles my whole life, but mainly racing off-road. When I started building custom bikes it was to spend more time with my dad. I took parts and bikes from our barn and used them to make unique motorcycles I wanted to ride. What was the process leading up to being selected as one of the top 3 builders? It started with entering the contest. We had to submit design concepts, essays, and previous build experience. 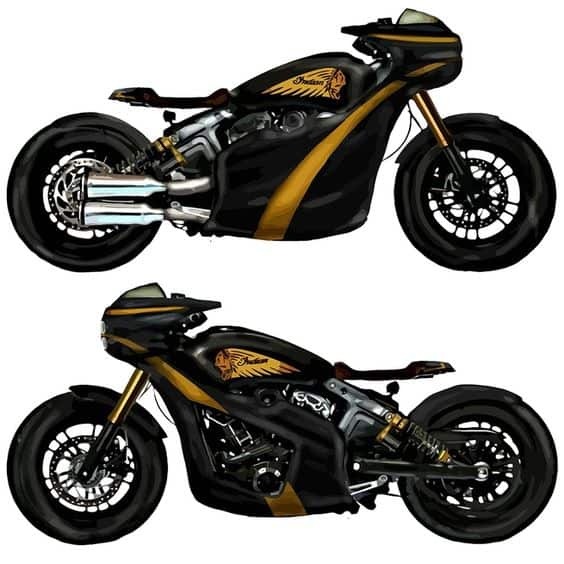 I drew up my ideas and had my friend Cory of Moto Mesa Designs tweak it and turn it into a gorgeous digital rendering. From there it went to public vote. After I was awarded as one of the top three I went to Bair’s Powersports (our local Indian dealership) and picked the bike up. 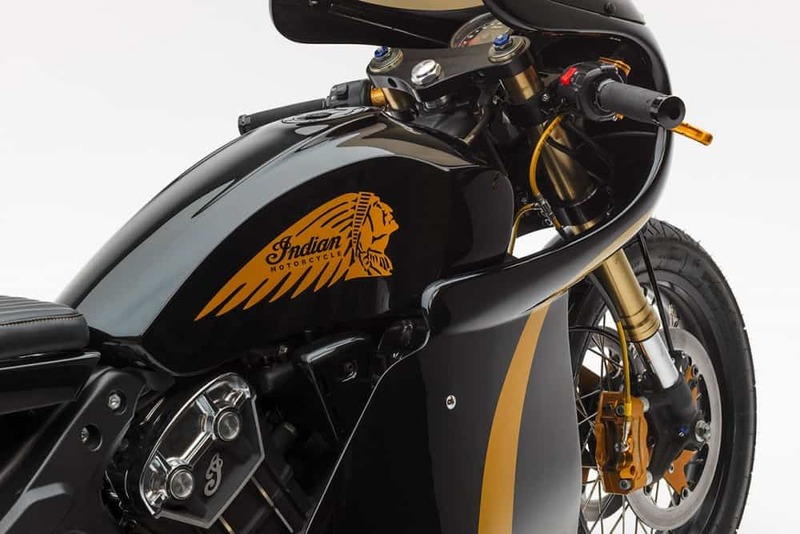 Do you have any prior history or experience with modifying Indian motorcycles? I don’t have much history with them prior to this build. But I do know THEIR history. I’m honoured to be able to build a bike with such a rich heritage. Did you expect the bike to get a good response at Sturgis? I really didn’t. Sturgis isn’t known for cafe racers or sports bikes. The crowd is very v-twin oriented. So I was happy to get a great response and all the pats on the back. Having my peers at Michael Lichter’s Passion Built Show give me praise was also a nice surprise. Anyone who has ridden an Indian Scout will appreciate just how much work was required to create PJ’s Scout Cafe Racer. What’s most impressive though is that the bulk of this build took place in a small workspace out the back of his home. The most obvious modifications are, of course, those to the bodywork. 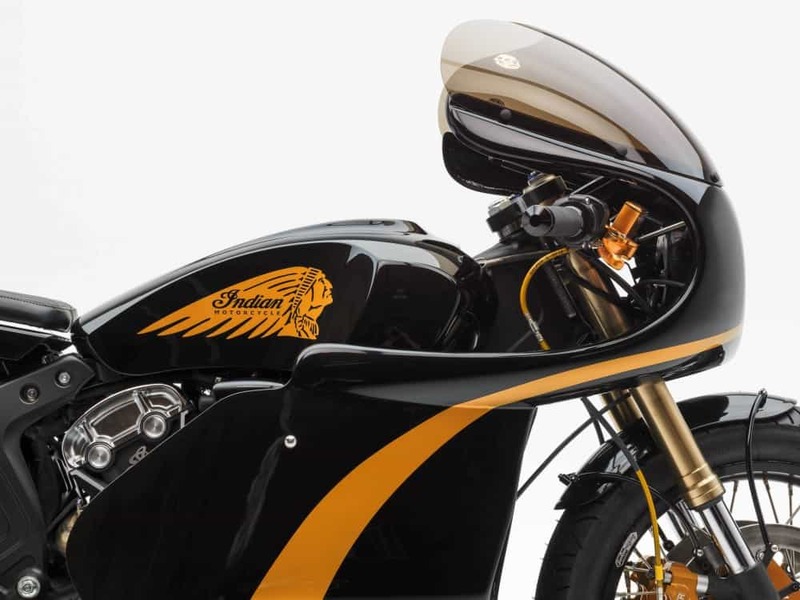 The full fairing is a custom-made fibreglass unit that PJ designed and was finished by Kacey Elkins of Krossover Customs. PJ tasked Raw Iron Choppers with cutting and welding knee dents into the stock fuel tank while he built his own tail section and had the seat covered by Ginger at New Church Moto. Getting the Scout sitting right was an integral part of PJs cafe racer transformation. To do this he installed a set of ’07 GSXR forks using Cognito Moto 50mm offset triple trees. 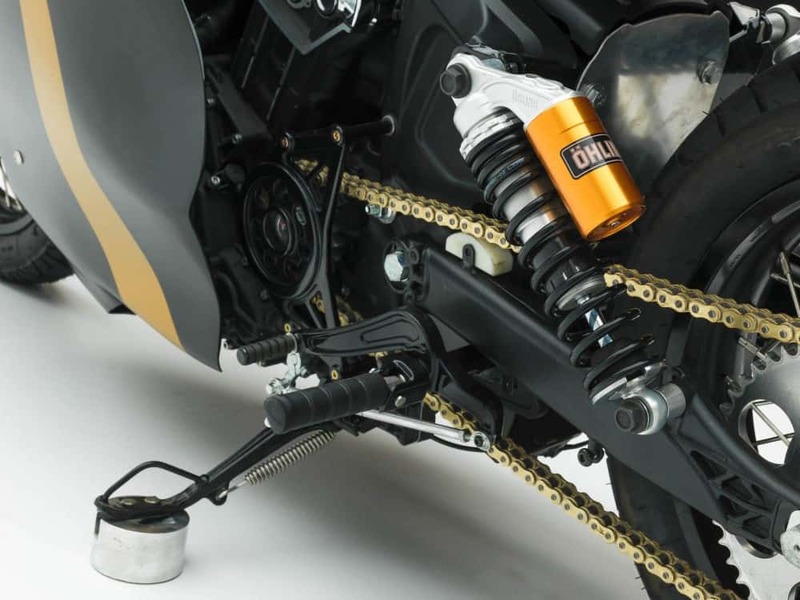 To level out the frame, he also fit a pair of 12-inch Ohlins shocks. Spoked wheels were high on the list of must-have items so he fit a pair of 18 inch Sun rims. The front is laced to the GSXR hub while the rear is fixed to an aftermarket hub by Indian. Woodcraft clip-ons wearing Avon grips set up an aggressive riding position and the stock footpegs have been relocated for comfort. Pj completed his handling modifications with Pirelli Sport Demon rubber and a full brake upgrade using gold anodised parts from Beringer. 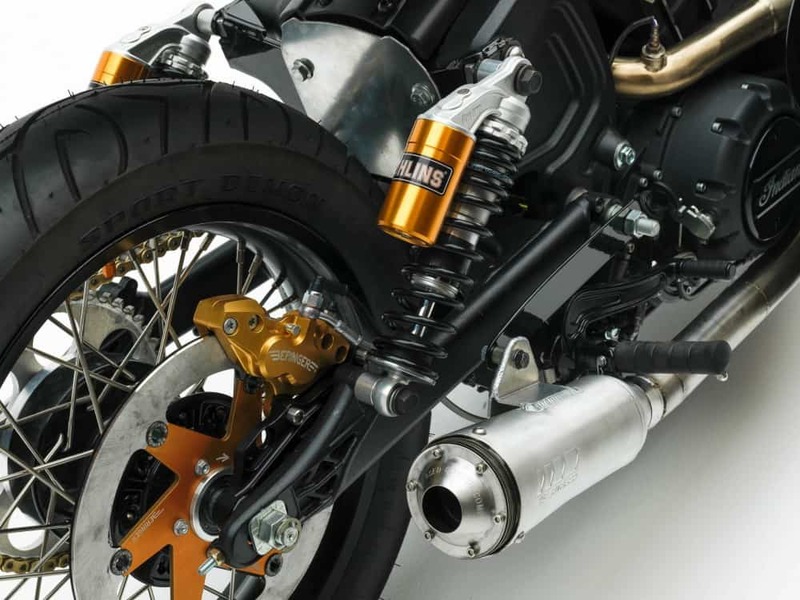 No cafe racer build is complete without at least a little additional horsepower, and PJ’s Scout Cafe Racer is no exception. 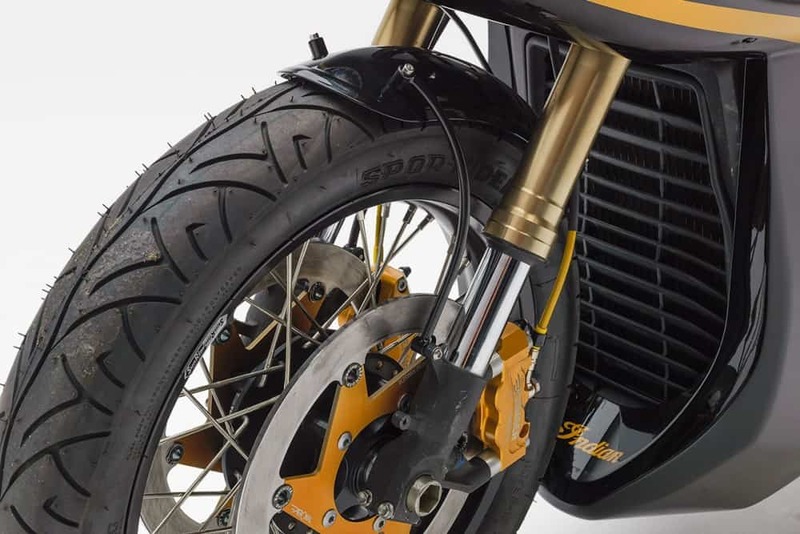 The bike now runs a DynoJet Power Commander tuned to get the most out of a Zipper’s intake, custom 2-into-1 exhaust and Supertrapp alloy muffler. Those with a keen eye will also notice a change from belt to chain, another modification done to achieve a classic bike aesthetic. 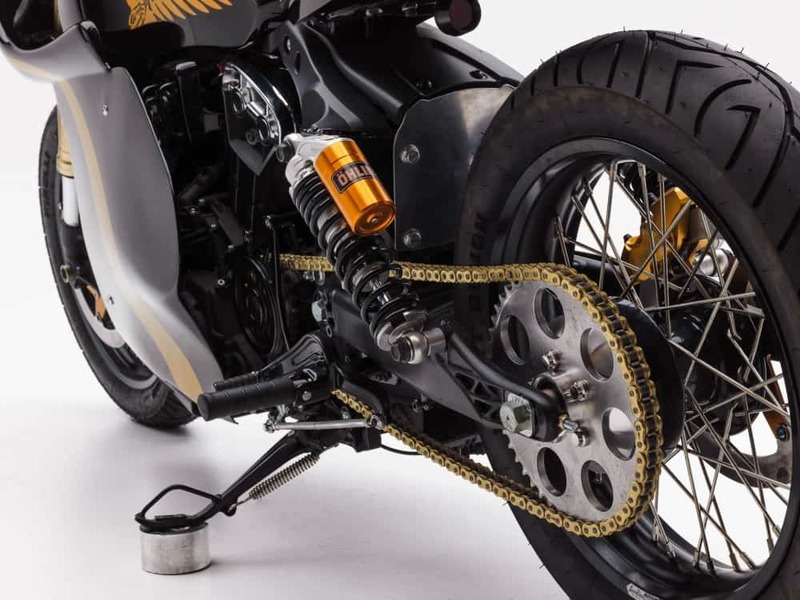 The choice of chain colour was to tie in with the stunning black and gold paint scheme laid by Krossover Customs. A great mid sized machine with plenty of guts in the right hand and something I would love to ride myself, nice to see lines that flow and motors that Go, this is an affordable bike that will last many moons for sure and I hope that I get to see it at some point around the circuit of shows etc. Make sure that you give this fella a thumbs up when you see this machine as he really hit the proverbial nail right on the noggin with this bike and its a great piece to look at. 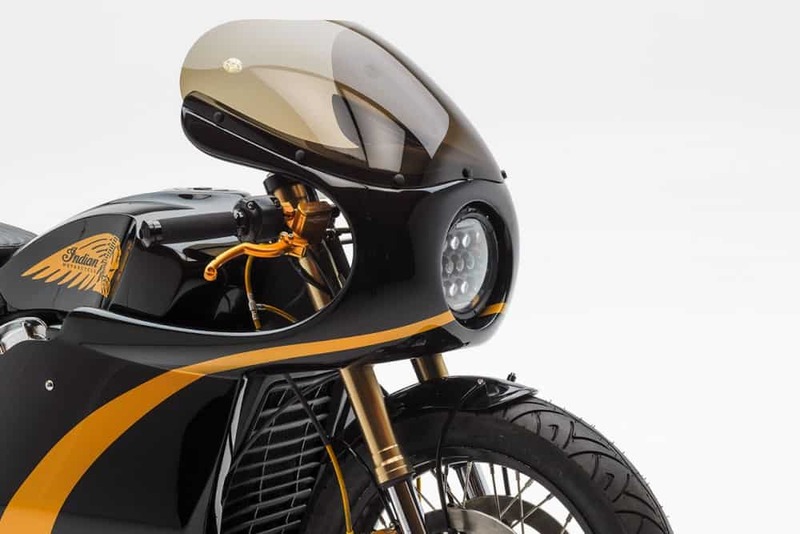 There are so many great bikes being built and you think that you have seen pretty much all that can be done but, this is proof of the pudding right here that it is not. 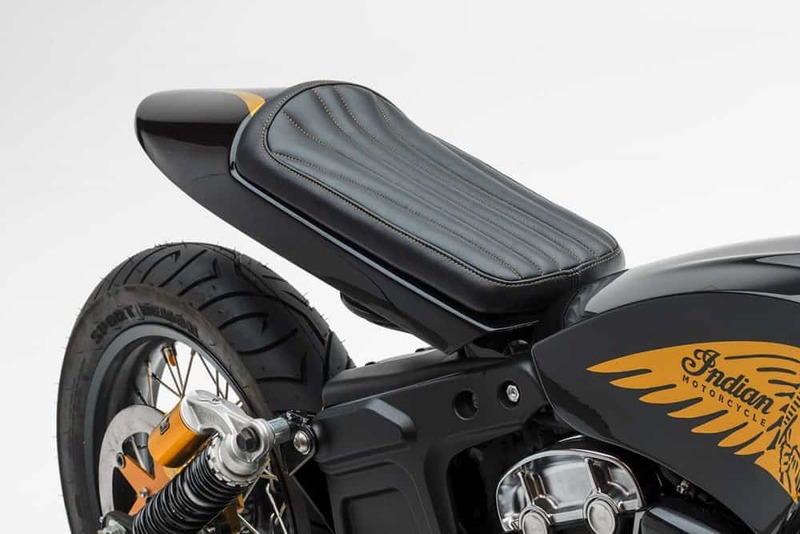 I am sure this is comfortable on long rides and, even more fun when you get into the twisties, love to sling my leg over and see what the power transfer is like. Still, the only flaw that I can see is, after all that work, nobody puts any time into making a side stand that touches the ground, I have made many of these as having to carry a chunk of steel or aluminum with you all the time is not fun. 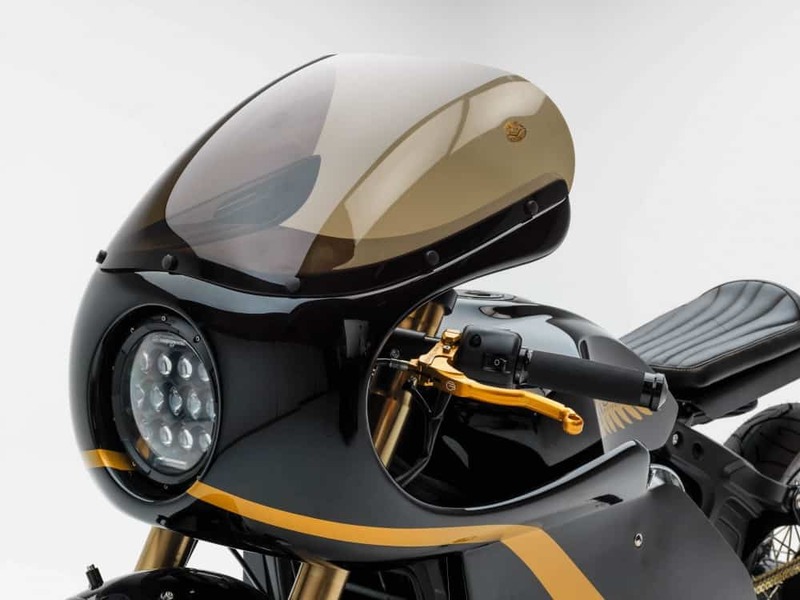 The Gas tank is another story, it really looks so Nostalgic and just loved the lines that the Gloss Black gives it, a well put together motorcycle thats for certain. 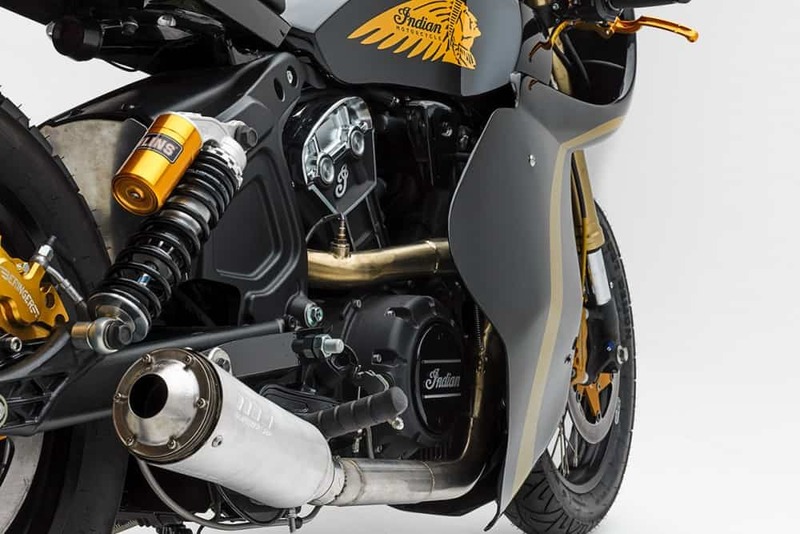 You cannot go wrong with Ohlins suspension,this will soak up the deviations in the tarmac like a New Coupe De Ville. 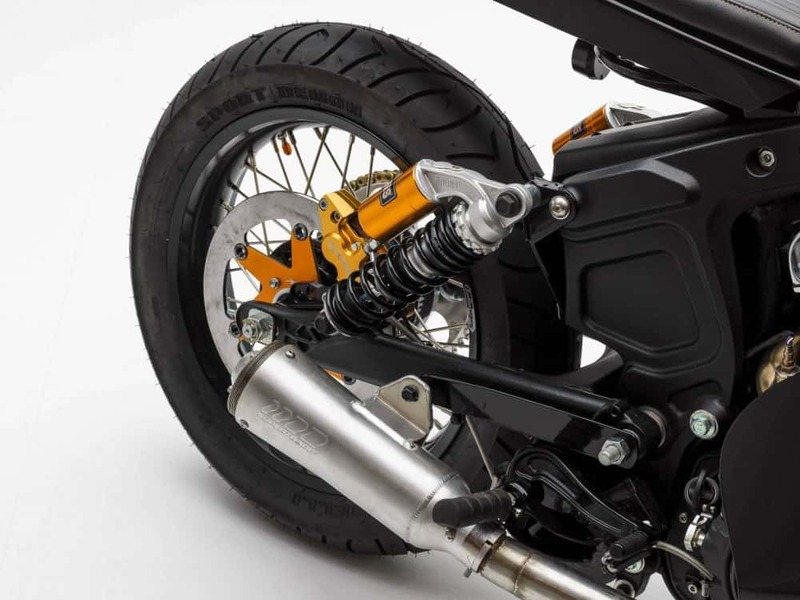 I like the way the rear sets are mounted and the whole bike flows with that full fairing set up, the swing arm is sturdy enough to take on any road that you take this bad boy onto. Beringer make sure that you get plenty of stopping power, their products are up there with the best, I should know, as I am a dealer for their products and this looks really cool. 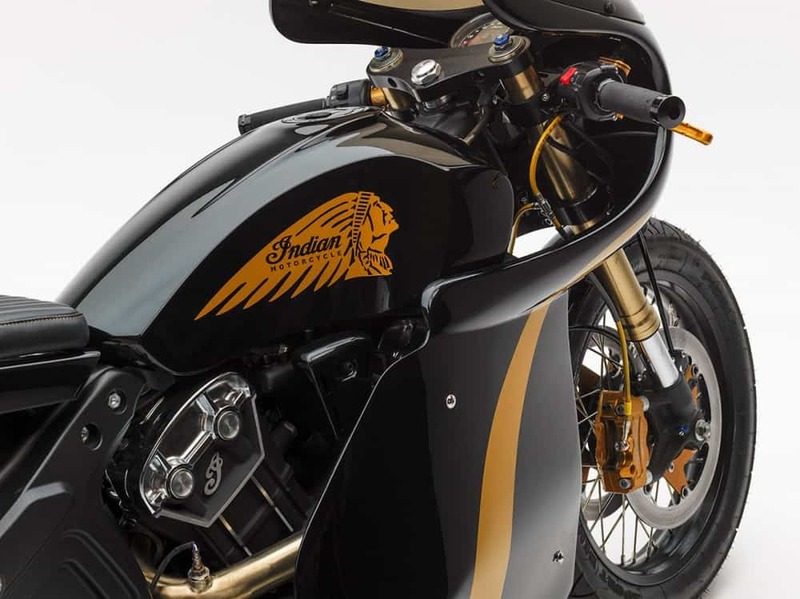 Hope that some of you out there, get to see this Indian Cafe Racer, its a good put together machine that needs to be seen and heard for sure, below are the renderings that got PJ started. Out of the 100 or so submissions, 12 semi-finalists were showcased online for a fan vote to determine the final three finalists. These three builders got a full paid trip to Minneapolis for an unveiling party of their customized Scout Bobbers at Sturgis. 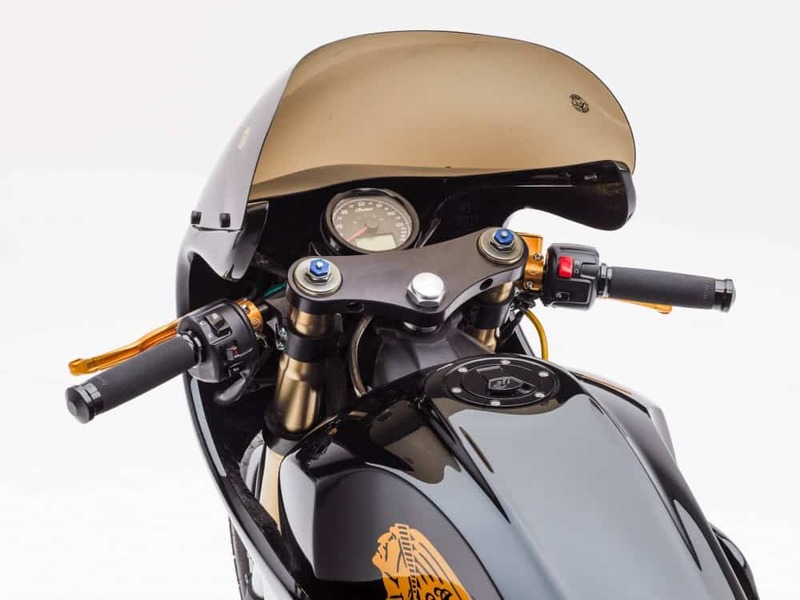 This entry was posted in Blog, General Info and tagged Bike magazine, Black n Gold, bobber, Build off, cafe racer, carpys cafe racers, custom, Full fairing, Hot bike, Indian, MCN, pintrest, PJ Grakauskas, return of the cafe racer, Scout, Sildrome, tracker.